While many iterations of Batman have come and gone – from Michael Keaton to Christian Bale, George Clooney to Ben Affleck – for a lot of people there has only really been one Penguin. Danny DeVito played and owned the role of Batman’s evil nemesis in the 1992 film Batman Returns. Since then, no one has even attempted to portray Penguin – aka Oswald Chesterfield Cobblepot – on the big screen because, well, how could you follow it? While Heath Ledger’s portrayal of The Joker shouldn’t have been followed so soon by whatever it was Jared Leto was trying to do (at least we’ve got Joaquin Phoenix to salvage that mess), a follow-up to DeVito’s Penguin hasn’t been attempted other than in animated form. Now, however, we might have a contender on our hands. 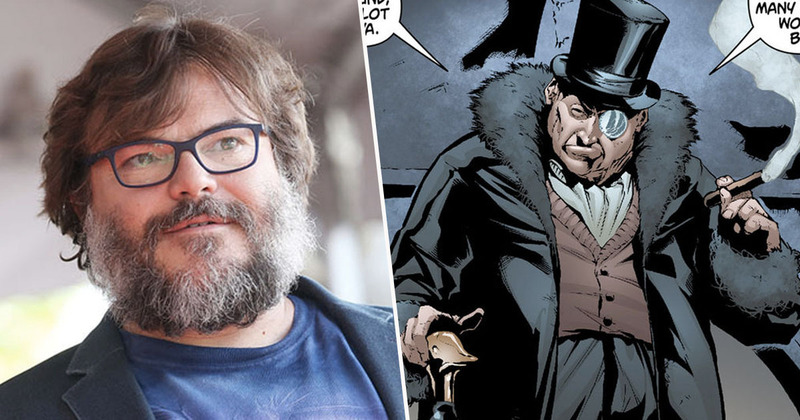 Cobblepot is reportedly going to be the leading villain in writer-director Matt Reeves’s upcoming film The Batman. Though no actors have been confirmed for either role just yet, one actor may have just thrown his hat into the ring to play the iconic villain. Jack Black was speaking to ET Canada while promoting his recent film The House With a Clock in its Walls, when he seemed more than happy to flirt with the idea of filling the Penguin’s pointy shoes. Jack might have some competition to fight off for the role, however, as Frozen star Josh Gad has teased, he might be in line to take up the mantel, while Heroic Hollywood has also connected Steve Carrell to the role. On the other hand, there are plenty of people out there hoping Danny DeVito himself will take on the role once more. Yeah sure I would return back to him. I think he’s misunderstood – a bird that cannot fly. He’s tortured. I like that operative value. It would be great to do again, I’ve thought of that but I never had the opportunity to revisit any of the characters I’ve played. Fingers and flippers crossed he gets the chance this time.